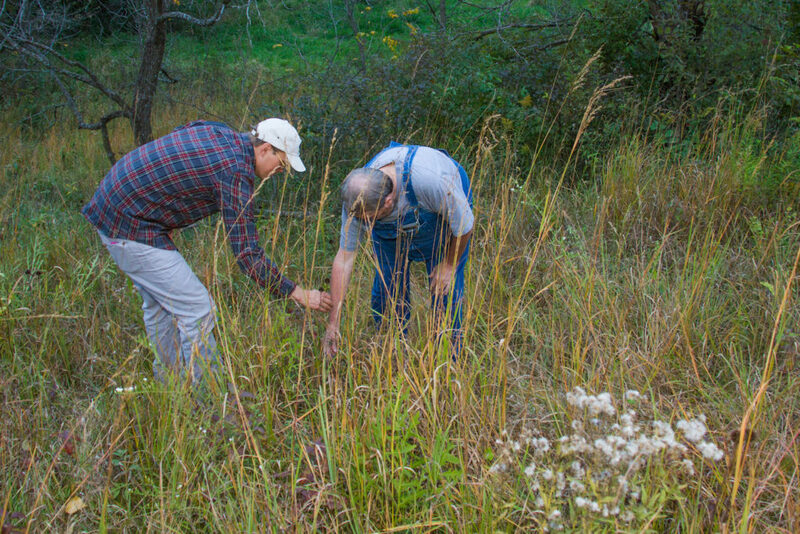 Paul and John Lengeling in the oak savanna, where restoration is underway. Paul Lengeling still remembers what it was like before the oak savanna became a dense forest. “You can still see the trace of the path where my grandmother Grace Kimberley rode her horse as a teenager to her nearby uncle’s home. She had remarked how much smaller the trees were then, and the ground being covered in wildflowers.” Paul and his siblings Sue, Dave, Martha, and John spent their childhood running around the open woodland and the adjoining timber pasture, which were only beginning to show signs of the changes to come. Their grandmother taught them the names of the wildflowers, and gathered and spread the seeds throughout the woodland. Prior to European settlement, prairie fires would sweep into the edges of the woodland, ensuring that only fire-adapted oak and hickory trees could survive. After burning ceased, fast-growing forest species such as elm, hackberry, black cherry, and ash became a threat to the Lengelings’ savanna ecosystem. By the 1960s, these young trees were beginning to emerge as small seedlings. They were still short enough that Paul’s grandparents could walk through the savanna to their favorite picnic spot on a hilltop beneath the large, widely branching oak trees. But in a few short years, the dense, fast-growing forest trees shaded out the lower branches of the long-standing oaks and hickories. To make matters worse, invasive species such as tartarian and amur honeysuckle, and buckthorn came on the scene in the late 1990s, blocking out remaining sunlight from the understory plants, and making the woodland nearly impossible to walk through. A few years ago, Paul became interested in removing the invasive tartarian honeysuckle to help the wildflowers come back. He got to work cutting it down with various saws, and spraying the stumps with herbicide. Although he had only covered a small portion of the woodland, new species of wildflowers began to show up almost immediately, including large patches of trout lilies, virginia waterleaf, and cut-leaf toothwort. Luke and Paul, exploring the prairie remnant to find additional native species. 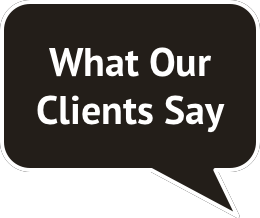 Then, while looking for someone to conduct a prescribed burn on an unrelated parcel of Conservation Reserve Program (CRP) grassland, Paul happened to call Luke at Prudenterra. Luke agreed to help him burn the site. After learning he was a forester, Paul invited Luke out for a Land Walk to help figure out how he could improve the woods, and clarify the family’s vision for their land. Luke and Paul explored the vast oak savanna woodland, riparian area, pastures, and the remnant prairie next to the farm pond. Paul shared the Land Walk Report, including the goal-based recommendations, with his four siblings. Sue, Dave, Martha, and John were immediately on board with taking steps towards restoring the ecology of the woodland to a diverse savanna with open-grown oaks and hickories, and restoring and expanding the prairie remnant. He notes, “Our parents taught us a great love for the land and to take care of it”. In March, after talking it over with Luke, Paul conducted a prescribed burn in the small remnant prairie next to the pond. The stunning results of this burn were apparent within just a couple of months, as wildflowers of spring and summer burst into bloom. The prescribed fire had significantly suppressed the aggressive cool-season smooth brome grass, and in its absence, the native wildflowers, grasses, and sedges were taking off. Paul’s current native species tally is over 25, including important prairie remnant indicator species such as leadplant, pale purple coneflower, and compass plant. Though the restoration of an oak savanna takes more time, it can be just as stunning as native prairie. 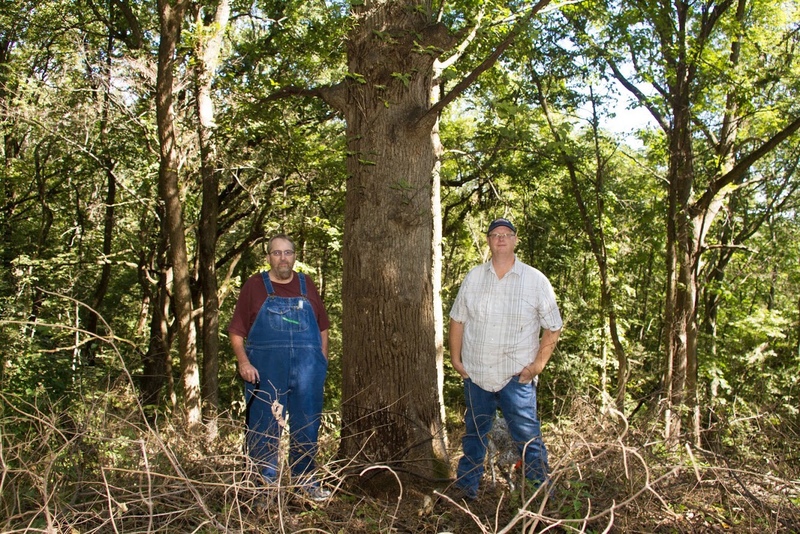 Beginning in July of this year, Prudenterra’s crew began working their way through the woodland, chainsaws in hand, cutting all species not native to an oak-hickory savanna. Some were felled, and others “girdled” for standing dead tree habitat, and a small amount of herbicide was applied to prevent re-sprouting. Paul observed, “It’s dramatic how much light is coming in”. 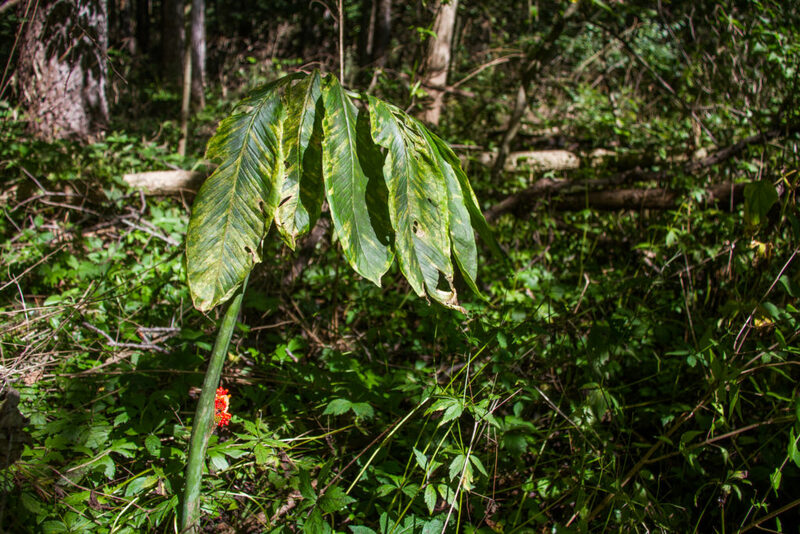 Green Dragon (Arisaema dracontium) in the Lengeling woodland. Next fall, after the felled trees and honeysuckle plants have had time to dry down, Prudenterra will conduct a prescribed woodland burn. This low intensity fire will further set back the non-native species, remove the forest litter layer, and enable more sunlight to reach the wildflowers that grow on the floor of the woodland. The legacy of Grace Kimberley has continued through her grandchildren, whom she taught to love the land. In a post-prairiefire era, when invasive species have posed a threat to their precious ecological resources, Paul, Sue, Dave, Martha, and John have adapted the way that they continue to care for their family’s land. “We want to let it naturally come back to what it would historically be like”, explained Paul. And their land continues to surprise them, as they discover gems in their prairie and woodland–uncommon plants such as moonseed, a native red mulberry tree, several local-ecotype prairie remnant species, bladdernut, kentucky coffee trees, and even a green dragon.